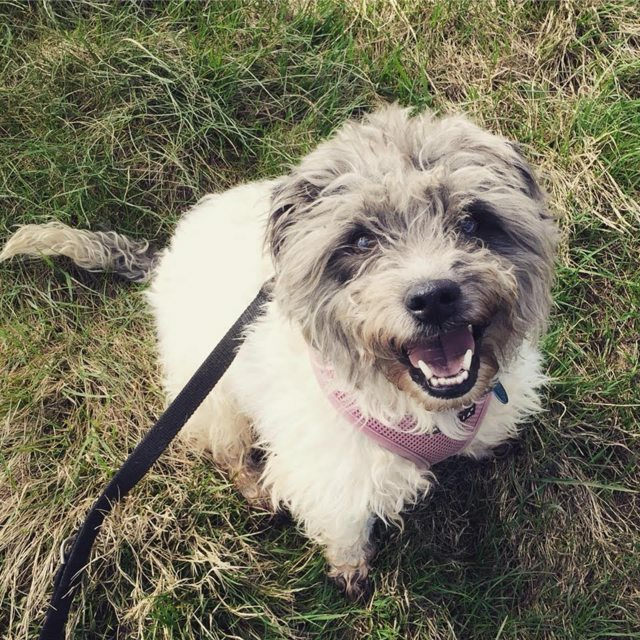 Paddy is a 6 year old male Terrier. We would recommend an adult only home, no visiting children. He has been good with female dogs during assessments but we would recommend he lives as an only dog, he is reactive to some dogs on walks. Has not yet been cat tested. Paddy is an active little terrier. He loves to be out and about and loves his food, he loves being fussed WHEN he is trusting and comfortable of his human, he does not like being touched by people unknown to him, and he is especially untrusting of men. Paddy would best suit an adult only home as he can be cautious being handled initially by people he doesn’t know, he is reactive to males on walks. We feed him a raw Diet, Barking Heads or Natures Diet at Glendee. He has been healthy during his stay with us. For further details regarding adopting a dog from Glendee Rescue Kennels in Hertfordshire, please visit the Glendee website (http://glendeedogrescue.com) and download an application form, which must be filled in and sent to glendeekennels@hotmail.com. or telephone 01707 263601. We can then arrange a viewing, but as we are a small rescue we must receive your application form first! Thanks in advance, and we very much look forward to hearing from you! Application forms can also be found at: http://glendeedogrescue.com/apply-to-adopt Address: Glendee Boarding Kennels and Cattery, Dixons Hill Close, North Mymms, Hertfordshire, AL97EN. Please note, adoption procedures and donation fees (£200) apply.